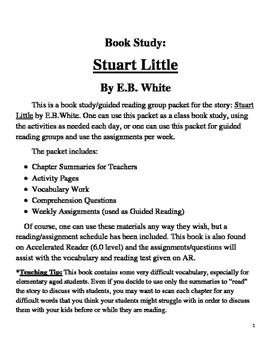 This is a book study/guided reading group packet for the story: Stuart Little by E.B.White. 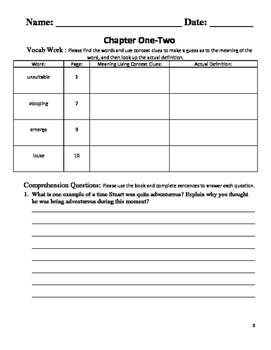 One can use this packet as a class book study, using the activities as needed each day, or one can use this packet for guided reading groups and use the assignments per week. 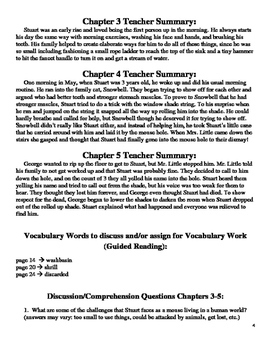 Of course, one can use these materials any way they wish, but a reading/assignment schedule has been included. 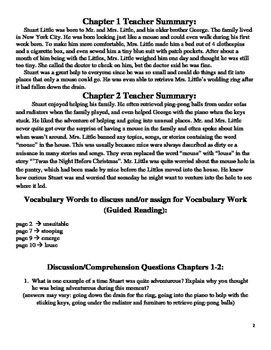 This book is also found on Accelerated Reader (6.0 level) and the assignments/questions will assist with the vocabulary and reading test given on AR.